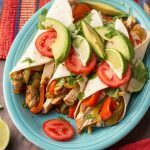 Slow Cooker Chicken Fajitas is a recipe that is easy to make and my whole family loves! With tender chicken strips, bell peppers and onion, and my Homemade Fajita Seasoning. 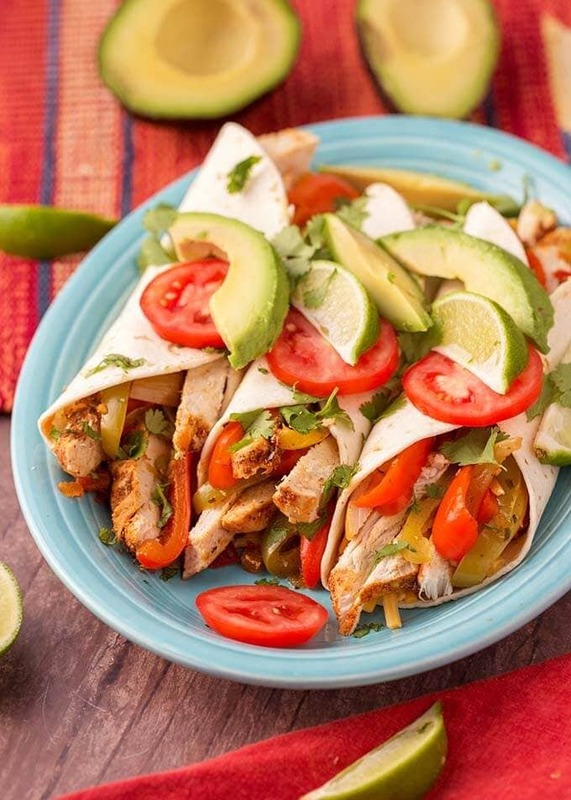 These crock pot chicken fajitas will make your house smell so good while they are cooking! I love coming home and smelling a delicious meal already cooking! That’s the beauty of the slow cooker! I especially like the recipes that don’t require me to precook anything. 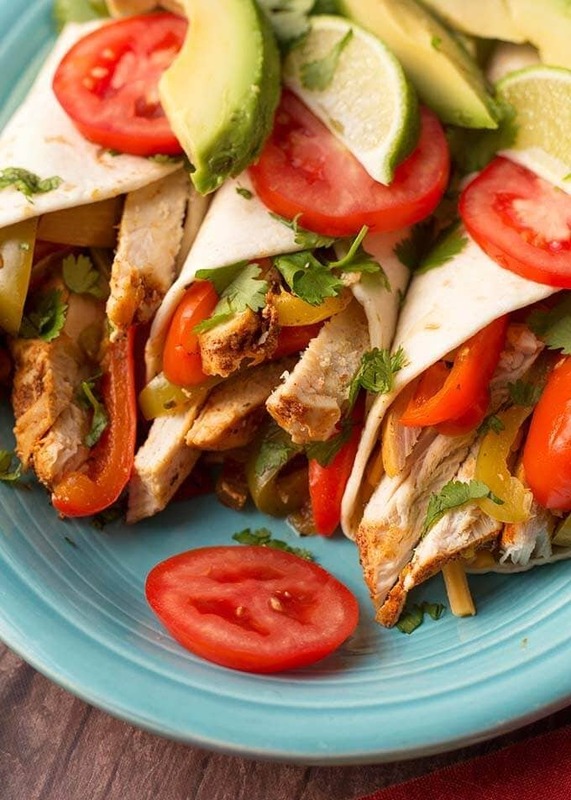 Slow Cooker Chicken Fajitas are so easy and very delicious! We like to get a pile of flour tortillas, lots of yummy toppings, and have a feast! 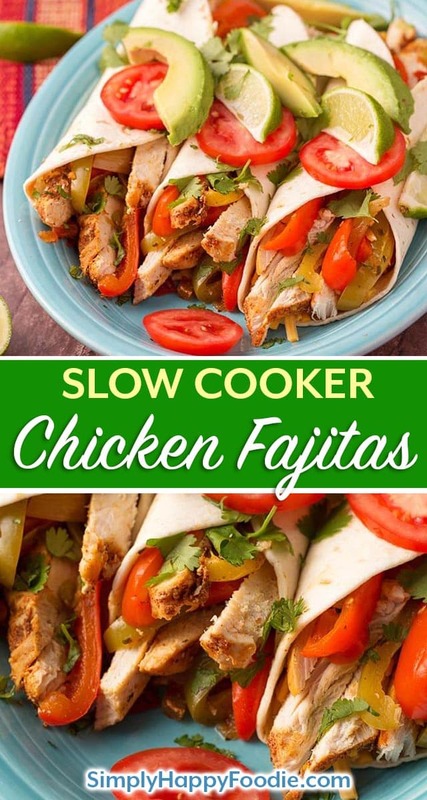 To get the best tasting Slow Cooker Chicken Fajitas you will need a good fajita seasoning. Here is the recipe for my famous Homemade Fajita Seasoning (famous among my family!). Having fresh bell peppers and onion makes a big difference as well. I love shopping at our local farmers market and picking up fresh produce for my recipes! After cooking, use a slotted spoon to transfer the mixture to a serving platter. Then remove the chicken and slice it. 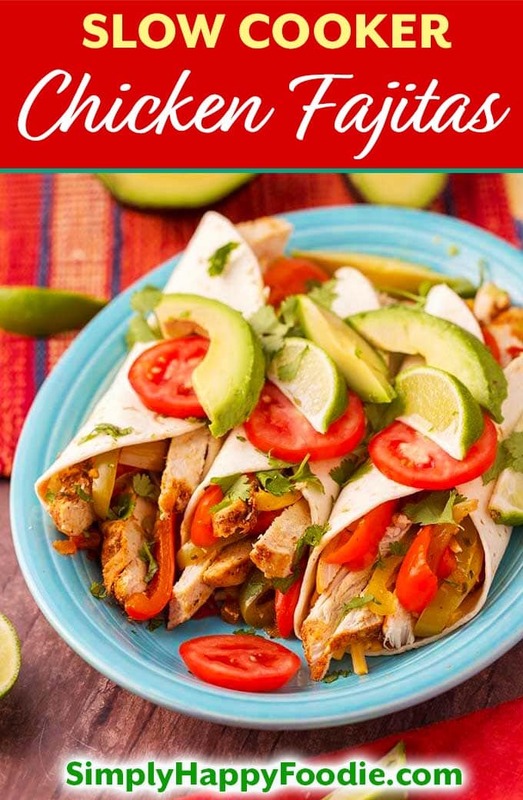 Get all of your tortillas and toppings and make some chicken fajita tacos! This recipe makes a nice amount, and will easily feed a family of 3 or 4. You can sneak another chicken breast in there to make more servings, if you want to. Pour half of the salsa and all of the green chiles into the crock. Add half of the onion and bell pepper slices, and all of the garlic. Season the chicken breasts liberally with the fajita seasoning on both sides. Set the chicken on top of the peppers/onions. Pour the remaining salsa over the chicken breasts. Add the remaining bell peppers and onions. Sprinkle with salt. Cover and cook on High 3-4 hours, or Low 6-7 hours. 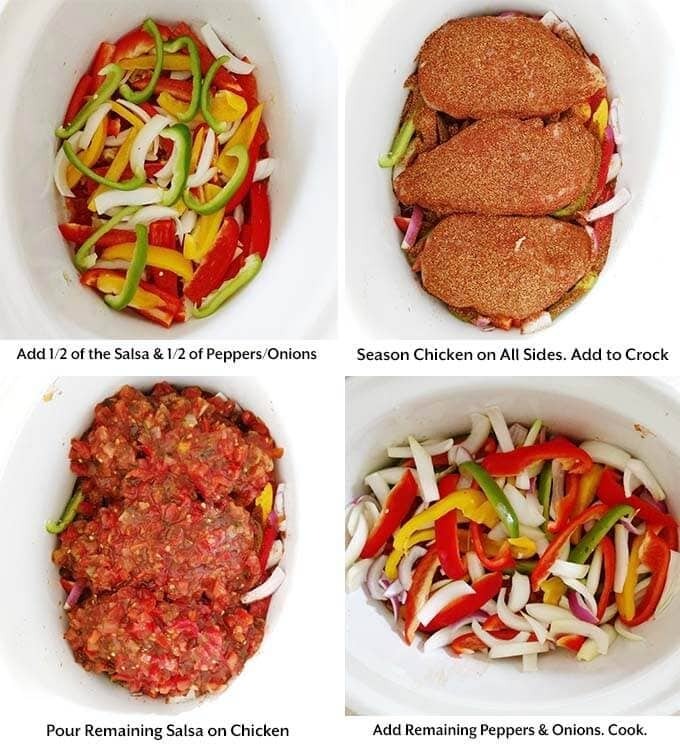 Remove chicken and slice in strips. Use a slotted spoon to remove the peppers & onions to a platter. Arrange the chicken strips next to them. There will be a fair amount of liquid left in the crock, which tastes good and makes a nice sauce to keep the fajitas moist. Use as much as you want. You can also save it and make an amazing Taco Soup with it! Serve with flour tortillas and your choice of toppings.